The residue from hard water is a factor in many skin conditions including eczema. New research confirms that softened water can greatly alleviate symptoms of eczema and other dry skin conditions. You will also use 50% less soap and shampoo to produce a much better lather, finding your hair to be shinier and more manageable. "If you ever wanted a cleaner, brighter home, our water softener has given us one. All our bathroom and kitchen fittings, pots, pans, glasses and just about everything else that is touched by the softened water is now sparkling. Showering is a whole new experience and our skin is now always soft and hair is shiney. 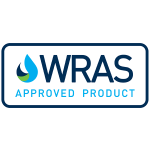 Yes we have to say our lives have improved with our water softener."